Located at the foot of Bugaksan, the main mountain overlooking downtown Seoul, Gyeongbokgung was the principal Royal Palace for about 200 years from its construction in 1395, just three years after the foundation of the Joseon Dynasty (1392-1910), until it was burnt down just after the commencement of the Japanese invasion of Korea in 1592. Thereafter it remained in ruins for 275 years until 1867 when it was restored; but, less than fifty years later, it fell into the hands of Japanese colonialists who destroyed the front part of the palace to build the Japanese Government-General Building on the site. The latter building, a neo-classical structure, continued to be used to house government offices even after Korea was liberated in 1945 until it was demolished in 1996 as part of an effort to remove the remaining vestiges of the colonial period. Some of the ruins of the building were moved to the Independence Hall of Korea in Cheonan, Korea for public display. Sungnyemun, or the ‘Gate of Exalted Ceremonies’, is the south gate of the old fortress wall that was built to protect the capital (todays’ downtown Seoul) of Joseon. It is the largest of the old fortress gates still standing in Korea today, and was designated as the National Treasure No. 1 in 1962. The pavilionstyle wooden building forming the upper part of the gate was severely damaged by arson in February 2008, but it was returned to its original form after a full-scale restoration project that took five years to complete. Seoul, the capital of the Joseon Dynasty, was protected by a long stone wall with eight gates, two of which, Sungnyemun (Namdaemun or South Gate) and Heunginjimun (Dongdaemun or East Gate), can still be seen today. The first, literally “Gate of Exalted Ceremonies,” is famous for being the Korean National Treasure No. 1, while the second, Heunginjimun, is the only one of the eight fortress gates protected by a semicircular gate-guard wall. Situated on the eastern part of the old fortified wall of Seoul, Heunginjimun (Gate of Rising Benevolence) attracts tens of thousands of people from across Korea and neighboring countries due both to its historic significance and its proximity to several large markets that have formed around it, including Gwangjang Market, Pyeonghwa Market, Sinpyeonghwa Market and Dongdaemun Market. All of these markets are particularly famous for the diverse fashion items they offer, clothes and accessories in particular. Compared with department stores that usually sell higher-priced luxury products, these markets have numerous wholesalers who supply competitively-priced good-quality products to retailers across Korea. The 555m–long and 34m–wide Gwanghwamun Plaza is a large square located in the middle of the road between Gwanghwamun Gate and Sejongro Junction. In hopes to return the heart of the 600-year-old historic city of Seoul to its citizens, the Seoul Metropolitan Government transformed what used to be a roadway into a plaza and opened it to the public in 2009. At its center stand the statues of King Sejong and Admiral Yi Sun-sin. Major media companies and hotels are located nearby. Insa-dong is a district in downtown Seoul that is packed with antique shops, antiquarian booksellers, art galleries, scroll mounters, craft workshops, brush shops, traditional teahouses, restaurants and bars that provide tourists with ample opportunities for an exciting cultural experience. The district had many places frequented by Korea artists, writers and journalists which have now begun to attract tourists from around the country and beyond. The Seoul Metropolitan Government designated Insa-dong as a District of Traditional Culture in 1988 and turns it into a car-free zone every weekend to create a more comfortable environment for visitors. Insa-dong. One of the most popular destinations among foreign tourists in Seoul, the district is packed with antique shops, art galleries, craft workshops, traditional teahouses, restaurants and bars. Myeong-dong has long been the busiest and most thriving shopping district in Korea where high-end shops and luxurious boutiques attract shoppers from all across Korea and tourists from different countries in Asia with luxury goods, brand garments, cosmetics, shoes, fashion accessories and souvenirs. The district has also been the national hub of finance and culture as well as commerce since the Korean War (1950-1953) and, in the 1970s and 1980s, was frequented by Korea’s most energetic, fashion-conscious, outgoing people. The position of Myeong-dong in the Korean fashion industry has dwindled somewhat in recent times, but its influence on the Korean fashion market remains significant. Many of the world’s top fashion brands maintain or have opened new stores in the district, winning back fashionminded shoppers from the newly emerging fashion streets in the Gangnam area as well tourists from overseas. The district also contains Myeongdong Cathedral, established in 1898 and a central figure to all Korean Catholics, and the historic Chinese Embassy. Jongno was one of the two districts, the other being Myeong-dong, that typified the early economic and cultural vibrancy of Korea in the 1970s and 1980s. There were, and still are, between today’s Jongno 2(i)-ga and 3(sam)- ga some of Seoul’s oldest movie theaters, the nation’s major bookstores, and famous private educational institutions including foreign language schools which keep the districts perpetually crowded with students. Cheonggyecheon, a historic stream cutting across the heart of Seoul, was restored and remodeled a few years ago and quickly emerged as one of the city’s top attractions. In the past the stream was a source of water for the families living around it, but it began to be covered over in the 1950s, and the overpass built over it came to be regarded as a symbol of Korea’s industrial growth during the 1960s and 1970s. The overpass, however, was demolished in 2003 as part of the project to restore the stream, which was completed two years later. Named after Rodeo Drive in Beverly Hills, and home to some of the most prestigious fashion stores in the region, Rodeo Street in Apgujeong-dong is widely regarded as the “mecca of Korean fashion” and a trendsetter in Korea. Rodeo Street is packed with luxury stores, including the flagship stores of the world’s top fashion brands, and upscale restaurants, cafes and bars. The street also contains stores selling special fashion items sought after by young fashionistas, and fully meets all the diverse needs of shoppers. In October, the street is transformed into the main venue for the Apgujeong Culture Festival which presents movies, hair shows, fashion shows, dance competitions and other exciting cultural events. This street is home to various cultural and artistic institutions and theaters that not only show performing arts, such as plays, concerts, and musicals, but also screen movies. On weekends, a variety of outdoor performances also take place in and around the park, plaza, and streets, creating a youthful and romantic atmosphere. Seochon, also known as Sejong Village, is not only the birthplace of King Sejong of the Joseon Dynasty but has also been home to many other historical figures. It is also called the village of culture and arts as famous Korean writers and artists produced a variety works while living there after the Japanese Occupation. As the country went through liberation, the Korean War, and rapid development in the 1970s, many hanok (traditional Korean house) disappeared from the streets of Bukchon between 1980s and 2000s. However, the government’s support and policy to preserve hanok have encouraged residents to return to tradition. Efforts to remodel hanok were focused on the residential area of Gahoedong, which boasts of a magnificent view. As a result, the hanok in the area were restored to embrace convenient modern features while maintaining traditional techniques and beauty, creating a representative hanok village in Jongno. It was during the early 1990s that Hongdae, or the area around Hongik University, saw an explosion of cafes and live music clubs drawing young music lovers from all across Seoul, gradually turning it into one of Seoul’s most dynamic cultural areas packed with fun-seeking youngsters. What differentiate the streets of Hongdae from other similar districts are the live performances of indie bands held at the clubs scattered around the district. The bands cover a variety of popular music genres, including rock, funk and techno music, for the young audiences that gather there every evening. The Hongdae district also contains numerous art galleries committed to displaying original works by emerging young artists. Some of these artists join with others devoted to other forms of art such as music and dance, to put on collaboration performances in the streets. Literally “the tree-lined street of Sinsa-dong”, Sinsa-dong Garosu-gil is a street in Sinsa-dong in Gangnam-gu that is lined with gingko trees on both sides. The street and nearby alleys have recently grown into one of Seoul’s main attractions, attracting tens of thousands of fashion-minded people to its array of high-end coffee houses, art galleries, luxury boutiques and other fashion stores every day. In the 1990s Garosu-gil began to attract ambitious young fashion designers, who opened shops along the road, eventually transforming it into a “fashion street.” The success of their shops was followed by the opening of other shops vending exquisite interior objects, furniture and personal fashion items. Itaewon, located south of Namsan Mountain in the heart of Seoul, is one of the most popular tourist destinations in the city, particularly among foreign tourists seeking shopping, fun and thrills in more comfortable surroundings. The development of the district and the growth of its reputation among international travelers visiting Korea are largely related with the presence, since the Korean War (1950-1953), of the Eighth United States Army Base in nearby Yongsan, which relocated its headquarters to Pyeongtaek, Gyeonggido Province in July 2017. Today, the district contains a number of foreign embassies including those of Denmark, Belgium, Argentina, Romania, Lebanon, Hungary, Qatar, and the Philippines, as well as the Seoul Central Mosque and diverse foreign communities. Itaewon’s streets are packed with shops selling fashionable clothes and fashion items, nightclubs, bars and restaurants, many of them providing exotic, at least to Korean visitors, foods from Mexico, India, Vietnam and Turkey among other countries, and a distinctly cosmopolitan atmosphere. The district was designated by the Korean government as a Special Tourist Zone in 1997, and has since then held the Global Village Festival every October. Furthermore, street performances are held for foreign tourists on a daily basis. Lotte World Tower is a 555m–tall skyscraper located in Sincheon-dong, Songpa-gu, Seoul. The tower has 123 floors aboveground and 6 floors belowground, and has a total floor area of 420,000 m2. Completed in December 2016, the multifunctional complex features offices, accommodation, and tourism and shopping spaces. As of its opening day, Lotte World Tower is the fifth tallest building in the world after United Arab Emirate’s Burj Khalifa (828m), China’s Shanghai Tower (632m), Saudi Arabia’s Abraj Al-Bait Clock Tower (601m), and China’s Ping An Finance Centre (600m). The tower’s architecture was inspired by the curvature found in traditional Korean porcelain and brushwork. The highest and largest mountain in mainland South Korea, Jirisan Mountain consists of numerous scenic peaks, including its highest Cheonwangbong Peak (1,915m), Nogodan and Banyabong Peaks, and ridges and valleys extending for 40km from east to west. The mountain borders three provinces, Jeollanam-do, Jeollabuk-do and Gyeongsangnam-do, and its forests account for about 20% of all forestry in Korea. It was designated as Korea’s first National Park in 1967. Jirisan Mountain is located at the southern end of the Baekdu Daegan, a great mountain range that forms the backbone of the Korean Peninsula, running down from Baekdusan Mountain in the northern most part of the peninsula to characterize geographical features of the south. The mountain has been widely admired for its majestic appearance and dense forests providing natural habitats for rare animal and plant species such as the Siberian musk deer, Korean goral, Asian birch, and the Royal Azalea. South Korea’s third highest mountain after Hallasan Mountain and Jirisan Mountain, Seoraksan Mountain is located in the middle of the Baekdu Daegan, a great mountain range forming the backbone of the Korean Peninsula, with its tallest peak Daecheongbong (1,708m) overlooking Korea’s eastern coast. The mountain is characterized by rocky peaks and cliffs displaying grotesque shapes and deep valleys containing pools of crystal clear water which have led to it being compared with Geumgangsan Mountain, or the “Diamond Mountain” in the North, which has long been admired as Korea’s number one scenic mountain. The mountain covers a vast area on the mid-eastern part of the Korean Peninsula which is divided into three areas, namely, Oeseorak (Outer Snowy Mountain) in the east of Daecheongbong Peak, Naeseorak (Inner Snowy Mountain) in the west, and Namseorak (Southern Snowy Mountain), which contains the famous mineral spring called Osaek Mineral Springs in the south. The mountain also contains the source of the Namdaecheon Stream, which flows through the Yangyang area into the East Sea, and the Bukhangang and Soyanggang Rivers, which flow westwards to form the Hangang River which cuts across Seoul. Seoraksan Mountain provides a safe haven for many native or endangered species such as the Manchurian trout, Korean minnow, diamond bluebell (geumgang chorong), and edelweiss. The mountain was designated as a National Park in 1970 and registered on the World Network of Biosphere Reserves by UNESCO in 1970. It is also home to many historic, cultural and natural heritage including Buddhist temples such as Baekdamsa, Sinheungsa and Bongjeongam, which is one of the five temples enshrining the relics of Shakyamuni, the historical Buddha, Heundeulbawi Rock, and Ulsanbawi Rock , an 873-meter-tall rocky peak of majestic appearance. Seoraksan Mountain is famous for the breathtakingly beautiful landscapes created by its mountain peaks, deep valleys, stunning rock formations, and historic Buddhist temples which draw millions of hikers from all across the country every year. Meanwhile, in Seorak-dong, a tourist town located on the foot of the mountain containing an entrance to it, there is a fine network of accommodations and recreational facilities that form a convenient environment for tourists and hikers. Tourism in Seoraksan Mountain is typically connected with the presence of Goseong Unification Observatory, which is located close to the DMZ on the east coast. Namsan Mountain, a 262-meter-tall mountain standing in the heart of Seoul, is home to a number of attractive walking trails appreciated by the citizens of Seoul for hundreds of years. The mountain is dense with trees that provide an abundance of fresh air and flowers all year round. By walking along trails, it usually takes about 1 hour to reach the summit via any of the paths. Atop the mountain sits Namsan Seoul Tower (or the N Seoul Tower) and an octagonal pavilion. There is also a sign that denotes the “Geographical Center of Seoul.” Visitors can also take environmentallyfriendly buses or cable cars to get to the top. As well as a historic beacon fire station used for long-distance communications during the Joseon Period (1392-1910). At the foot of the mountain there are several cultural institutions such as the National Theater of Korea, Seoul Municipal Library, and Namsangol Hanok Village. The Bukhansan National Park on the northern part of Seoul also provides popular venues for various outdoor activities, hiking and rock climbing in particular. Two large watercourses originating from the mid-eastern mountainous region of the Korean Peninsula merge together to become the Hangang, or the Hangang River, which passes through Seoul before flowing into the West Sea . The rivers have provided water for all the fields and factories in and outside the capital area and drinking water for many cities within it including Seoul. The rivers are installed with multiple dams including those for flood control and generating power. The longest river on the Korean Peninsula is the Nakdonggang River which cuts a 520km-long course across Gyeongsangbuk-do Province and Gyeongsangnam-do Province before flowing into the South Sea. Its estuary contains a large delta called Eulsukdo where reeds grow densely, forming Asia’s largest bird sanctuary. Other major rivers in Korea include the Geumgang and Yeongsangang Rivers which provide water for Korea’s largest granary in the southwest, and the Imjingang, Mangyeonggang and Seomjingang Rivers, which also constitute important sources of water for the rest of Korea. Jejudo(do is Korean for island), Korea’s largest island (approx. 73km from east to west, 31km from south to north), lies in the Korean Strait, southwest of the Korean mainland. The oval-shaped island maintains a rich cultural heritage that is distinctly different from that of the mainland. It is also the only province of Korea where mandarin oranges are grown in natural conditions, providing a great source of income for many households since the 1960s. It was an extremely popular honeymoon destination among mainland Koreans during the 1970s and 1980s, and has since grown into one of Korea’s top tourist attractions, drawing hundreds of thousands of tourists from neighboring countries including Japan and China. In 2006, the Korean government designated the island as Jeju Special Self-Governing Province in an effort to turn it into a Free Trade Zone. It is now a very popular venue for important international gatherings including summit meetings. Jejudo was formed by a series of volcanic eruptions and is rich with the distinctive features of volcanic topography including 368 oreum (parasitic cones) and about 160 lava tubes. This unique natural heritage led to the island’s inclusion on the UNESCO’s World Network of Biosphere Reserves in 2002, World Heritage Sites in 2007, and Global Geoparks Network in 2010. The worldwide recognition of Jejudo as a global natural heritage is expected to further promote the value of the island as a tourist destination and as one of Korea’s key environmental assets. Hallasan Mountain, a dormant volcano, soars upwards from the center of Jejudo to a height of 1,950 meters, making it the highest mountain in South Korea. The mountain is home to over 1,800 species of alpine plants that select their habitats according to altitude and exhibits great diversity of vegetation. The mountain largely consists of basalt, and slopes steeply in the south and more gently in the north. There is a crater lake, Baengnokdam, at the summit. Seongsan Ilchulbong Tuff Cone, situated at the eastern tip of Jejudo, is probably the most popular tourist attraction on the island. This 182-metertall volcanic peak is said to resemble a huge amphitheater with a deep, bowllike center filled with reeds and rimmed with rocky cliffs. Many visitors also compare this popular sunrise celebration venue, which is now designated as a Natural Monument, with a heavily fortified, impregnable castle or a tall, full-circle tiara. The Jungmun Tourist Complex located on the southern coast in Seogwipo boasts many fascinating places and facilities for a variety of outdoor activities, including swimming and sunbathing, golfing, horse riding and hunting, world-class hotels, and enchanting natural attractions such as the three-tier waterfalls of Cheonjeyeon and coastal columnar jointing. A new attraction was added to the already long list recently when one of Asia’s largest aquariums, Aqua Planet, was opened in July 2012 at Seopjikoji Beach in Seongsan-eup. One of the island’s main attractions, the recently created Jeju Olle Trail, comprises a set of nature trails along the coast that lead hikers to fascinating views of Jeju, old villages and fields enclosed or separated by basalt stone walls, coastal seas where elderly women divers (haenyeo, “sea women”) harvest seafood beneath the sea, and waves of wind rolling through fields of long grass (Jeju has been called Samdado, literally, the “island of three abundances”, namely, stones, women, and wind). Jejudo is famous for its many special farming and marine products of which the “prickly palm cactus” (Opuntia ficusindica), also known as baengnyeoncho (hundred-year plant), has recently amazed many scientists of the world for its extraordinary beneficial effects on human health. Dol hareubang, the iconic grandfather statues carved from porous basalt (volcanic rocks), are also popular souvenirs. For some Korean tourists, Jeju is significant in that it has jurisdiction over the southernmost part of the Korean territory, a tiny island called Marado located about 10km off its southwestern coast, and Ieodo, a submerged rock 4.6 meters below sea level located 149km southwest of Marado, the location of the Ieodo Ocean Research Station. Dodong Port in Ulleungdo (top): A volcanic island lying in the East Sea and Dokdo (Ulleung-gun, Gyeongsangbuk-do): Dokdo consists of two rocky islets, Dongdo and Seodo, situated about 150 meters apart, and 89 rocky outcrops around them. Located about 130km east of the Korean Peninsula, Ulleungdo is a volcanic island of about 72km2 that is rimmed with steep rocky cliffs and has a basin (called Nari Basin) on the top. It is historically connected with a group of rocky islets called Dokdo situated 87.4km to its southeast, thus forming the easternmost part of the Korean territory. 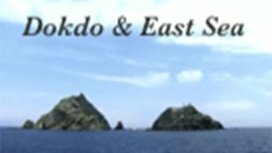 Now guarded by the Dokdo Coast Guard, Dokdo consists of two large rocky islets and eighty-nine small rocks, and is home to about seventy plant species, although most of the islets are barren. It was designated as the Dokdo Seabird Breeding Area and Natural Monument No. 336 in 1982 and then as the Dokdo Protection Area in 1999. The area of coastal seas ranging from Yeosu in Jeollanam-do Province to Hansando in Gyeongsangnam-do Province has long been praised for its breathtakingly beautiful seascapes characterized by sparkling blue seas, islands of all sizes, fantastically-shaped rocky cliffs, and dramatic coastlines. The area is also famous as the habitat of diverse marine species, and became Korea’s first national marine park in 1968. Yeosu, one of Korea’s leading industrial cities and host of the World Expo in 2012, contains some of the most popular tourist attractions in the national marine park such as Odongdo, a tiny islet covered with camellia trees, beautiful beaches, and historic sites related with the victories of the Joseon navy, under the leadership of Admiral Yi Sun-sin, against the Japanese forces that invaded Korea in 1592. A new attraction was added in February 2013 with the opening of Yi Sun-sin Bridge connecting two of the largest industrial cities in the area, Yeosu and Gwangyang. Hallyeosudo: Korea’s first national marine park - famous for the spectacular seascapes created by many differently-sized islands floating on blue seas. Namiseom Island - located 3.8km south of Gapyeong-gun, Gyeonggi-do Province, in the middle of a large artificial lake created by Cheongpyeong Dam, built in 1943 - has become a very popular tourist attraction among Hallyu (Korean Wave) fans across Asia thanks to the huge success of the TV series Winter Sonata, parts of which were filmed here. The island is dense with trees including Korean nut pine, dawn redwood, white birch and gingko, creating a number of romantic nature trails. In addition to walking, the island offers visitors places and facilities for various indoor and outdoor activities including cycling courses, art galleries, museums, craft workshops, bungalows and campsites. The cessation of the Korean War in 1953, following the signing of the Korean Armistice Agreement, led to the creation of the Military Demarcation Line (MDL) and the Korean Demilitarized Zone (DMZ), which is 250km long and approximately 4km wide, i.e. 2km on the South’s side and another 2km on the North’s. On the western part of the DMZ there is a farming village called Daeseongdong, better known as “Freedom Village” among South Koreans. Civilian access to the DMZ is normally restricted, but allowed for those who receive a permit issued by the military. The same applies to foreign tourists. The prohibition of public access to the DMZ for the last 60 years has helped maintain the environment in pristine condition, a quality for which in recent times it has attracted the interest of scientists and conservationists the world over. Gyeongju in Gyeongsangbuk-do was once the capital of the ancient Korean Kingdom of Silla (57 BCE – 935) for about one millennium, and contains a great wealth of heritage sites and relics that reflect its remarkable cultural achievements. The remaining historical and cultural heritage led to the city’s registration as a UNESCO World Heritage Site, under the name of the Gyeongju Historic Areas, in 2000. Tangible evidences of Silla’s cultural glory include Bulguksa Temple, which was founded to represent the ideal world of Buddhism which Silla’s people aspired to, Seokguram, a man-made grotto admired for its unique architectural structure and outstanding sculptural works, and Cheomseongdae, which is regarded as Asia’s oldest extant astronomical observatory. The royalty and aristocracy of Silla left behind large tombs in and around today’s Gyeongju. Archaeologists discovered priceless treasures in some of these tombs, such as the image of a heavenly horse painted on a piece of white birch bark (Cheonmachong Tomb), and gold crowns lavishly decorated with exquisite and advanced skills (Geumgwanchong Tomb). Apart from the fabulous archaeological discoveries, these ancient tombs clustered in downtown Gyeongju create fantastic and fascinating landscapes in themselves. Tomb of King Muryeong (Gongju, Chungcheongnam-do). The burial chamber of the tomb of King Muryeong, the 25th ruler of Baekje, and his consort shows the influence of the Chinese Southern Dynasties. Silla Buddhists in the 8th century made a great temple bell now known to be the “Sacred Bell of Great King Seongdeok.” As well as its imposing size, the bell is known for having several unique devices designed to help produce a clear, long lingering sound when struck, such as the “sound pipe”, and elaborate carvings decorating the outer surface of its body. Some of the most valuable treasures of Silla Buddhism, stone images and pagodas in particular, can be seen in Namsan, making Gyeongju’s guardian mountain one of the holiest places of Korean Buddhism. Gongju and Buyeo are two cities in Chungcheongnam-do, each of which served as the capital city of the ancient Korean Kingdom of Baekje during the period from the late 5th to the 7th century. The cultural achievements of Baekje in this period are best represented by the Tomb of King Muryeong and other ancient tombs in Gongju, Nakhwaam Rock, and Gungnamji Pond in Buyeo. The Ancient Tombs in Songsan-ri, Gongju consist of seven tombs of Baekje’s royalty including that of King Muryeong and his consort. Archaeologists discovered inside the tomb a wealth of precious burial objects preserved in near original condition that now provide important clues to the lifestyle of Baekje’s people. Buyeo, which was the last capital of Baekje for 123 years until 660, also contains valuable relics dating from the cultural heyday of a Kingdom that exerted a powerful influence on neighboring countries. Other Baekje heritage sites preserved in the city, including Nakhwaam Rock, which is connected with the last days of Baekje, and Gungnamji containing the features of a Baekje palace garden, have now become major tourist attractions. Seonyu Julbullori. This traditional firework festival involves hanging up bags of mulberry root charcoal powder upon four long (approx. 230m) ropes hung between Mangsongjeong Pavilion on the riverbank of Nakdonggang and the summit of Buyongdae Terrace across the river. In 2010, two old villages, Hahoe in Andong and Yangdong in Gyeongju, were inscribed on the UNESCO World Heritage Sites, under the title “Historic Villages of Korea.” The villages were created and developed by a few influential aristocratic families of Joseon, and still preserve the original living conditions in which the houses and their environments were built hundreds of years ago. Each village was established in a site chosen according to the traditional principles of feng shui, i.e. "Mountain Behind and Water in Front", and consisted of dwelling houses with family shrines, communal academies, pavilions. It also had farming fields around it which provided the villagers with all the basic necessities they needed. Hahoe Village in Andong was formed in the 17th century when some families of the Pungsan Ryu Clan settled there. The village, now containing about 450 traditional tile-roofed or thatched houses, is surrounded by the Nakdonggang River, with pine trees crowding the riverbank, creating a beautiful rural landscape. The village is also connected with a traditional performance, byeolsingut tallori, which is performed to invoke divine help for the village’s safety and prosperity, and Seonyu julbullori, a local firework festival held at riverside beaches. The other historical village, Yangdong, located 16km northeast of Gyeongju, has a history of about 500 years. It consists of about 160 traditional houses, both tile-roofed and thatched, and is surrounded by attractive natural surroundings, shallow valleys and gentle hills. The village is prized not only for its attractive old houses but also for other heritage that preserve the influence of Confucian ideology and ancient customs. The recent revival of interest in modernized traditional Korean houses (called hanok) among architectural designers and house buyers from across Korea has also helped attract numerous tourists to Korea’s old villages and districts where they can experience the traditional Korean lifestyle in an authentic environment. Two of the most popular destinations for enthusiasts are Bukchon Hanok Village in Seoul and Jeonju Hanok Village in Jeonju. Bukchon Hanok Village in Seoul refers to a residential area located north of the Jongno and Cheonggyecheon Stream area in downtown Seoul—hence the name—once occupied by wealthy aristocratic families during the Joseon Period. The area has become one of Seoul’s main tourist attractions, largely because of the old-world atmosphere and the well-preserved traditional houses and the narrow winding alleys linking them. Flanked by the two main Royal Palaces of Joseon, Gyeongbokgung and Changdeokgung, with Inwangsan and Bukhansan Mountains rising directly behind them, and modern skyscrapers in the south, the district exhibits a unique harmony between Seoul’s present and past. The largest Hanok district in Korea and one of the most popular tourist destinations among visitors is that in Jeonju. The Jeonju Hanok Village consists of about 700 traditional tile-roofed houses, some of which have been turned into guesthouses, restaurants, teahouses and workshops, providing visitors with opportunities to experience the local cultural heritage. The district also contains some of the city’s most important heritage sites such as Gyeonggijeon Shrine, which houses the official portrait of King Taejo, founder of the Joseon Dynasty, a local Confucian school (hyanggyo), and Omokdae Terrace, which commands a great view of the entire district. There are but a few mansion houses dating from the Joseon Period across Korea, of which Seongyojang in Gangneung is particularly famous for its exquisite, fully preserved 300-year-old buildings and well-tended traditional garden. Built by a minor member of Joseon royalty and still used as a dwelling house by one of his descendants, Seongyojang is regarded as a fine example of a dwelling of the wealthy ruling class of Joseon. It also consists of rooms such as an inner quarter (anchae) for women, detached outer quarter (sarangchae) for guest receptions, servants’ quarter (haengnangchae) for servants and separate rooms (byeoldang), as well as an artificial pond at the entrance and a pavilion called Hwallaejeong. As in many other parts of the world, local communities in Korea have developed a variety of cultural programs and events to mark their achievements or to celebrate the cultural and natural heritage bequeathed to them. In Boryeong in Chungcheongnam-do Province, for instance, the local mud festival attracts summer holidaymakers from all over Korea and from overseas, while in Andong of Gyeongsangbuk-do Province the annual international mask dance festival entertains tourists visiting the city. The Hwacheon Sancheoneo Ice Festival held annually in January is one of the biggest winter festivals. Andong International Mask dance Festival. This festival contributes to the effort to preserve and revive the Hahoe byeolsingut tallori and boost other mask-related cultural activities around the world. Boryeong Mud Festival. One of the most popular summer festivals in Korea today, the Boryeong Mud Festival attracts tens of thousands of international holidaymakers every year. Other popular festivals include the Gimje Horizon Festival, which is focused on the local agricultural heritage preserved in Gimje, Jeollabuk-do Province, the Jeonju Hanji Culture Festival, and the Jeonju Bibimbap Festival, which is held to celebrate the heritage that has helped the city of Jeonju gain an international reputation. In Jinju of Gyeongsangnam-do Province, the Jinju Namgang Yudeung Festival has begun to serve a similar function. Held to commemorate the ordinary people of Jinju, who fought heroically to protect their hometown against invading Japanese forces during the Imjin Waeran (Japanese Invasion of 1592) at the turn of the 16th century, the festival provides tourists with fantastic nighttime views of lanterns floating along the Namgang River. In Chuncheon, Gangwon-do Province, the Chuncheon International Mime Festival (CIMF) offers an exciting range of performances presented by ‘mime theater’ companies gathered for the event from across the world.